Both are consequences, or as I call them first tremors, of a much more significant danger, called peak oil. A Pompeian style disaster was looming over the whole world, and like the Pompeians, the threat was there every day, but mostly ignored or misunderstood. 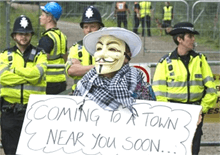 Protesters who gather at anti-fracking demonstrations are on the whole, attempting to stop the energy industries from extracting another form of CO2 which would exacerbate the global heating problem. On the other hand, you have the energy companies who are finally beginning to take the problem of peak oil and who are desperate to find additional sources of hydrocarbons to keep our modern civilisation functioning in a time where oil production is plateauing and declining globally. The best description I have heard about the process of dying is that it feels ‘panicky’, and you can certainly see panic with huge financial subsidies spent on developing the last ‘uneconomical’ smaller pockets of North Sea resources and destructive Shale Gas locally. Global desperation for new sources of hydrocarbons can be seen with Canada’s tar sands operations currently experiencing similar protesting going on in the US. Protesting is also going on in Australia, South America’s Amazon and Arctic regions to name only a few, so the increasingly desperate search for alternative fossil fuels by the world’s energy companies should be a warning to us all. And as the Americans are now discovering with their fracking revolution, like all over revolutions, the outcome is not as great as first hoped. Fracking wells which have drilled have a failure rate of around 50%. Of those lucky wells, the economic lifespan is only approximately 12 months. The long-term financial viability of shale gas extraction is very short, meaning continued well drilling is required to keep production to peak levels and again without massive subsidies, the operations are uneconomical. The costs of continually drilling for short-term benefits will be costly, economically and environmentally, but fracking will undoubtedly continue because there is no other alternative. The protesting we see around the world may not be a debate, but humanities conscious wrestling with itself. Two years ago I declared that the green movement had failed, and the hope that humans would turn the global warming problem around before we reached the point of no-return, was for me a shallow point. However, what I now believe, is that any green transition will be an unintended consequence of unavoidable energy costs. The energy giants may still be leaving no stone unturned in their quest for continued profit, but the stones will gradually get smaller and smaller. However, reluctant, people may not be able to ‘save the planet’, but the enthusiasm to save energy, or more to the point, save money on increasing energy costs will continue to build momentum year on year. This world of unintended consequences will continue to unravel as climate problems will continue unabated to cause crop failures around the world with food prices causing social unrest for many unstable governments. We can already see this beginning to happen with last year’s Arab Spring as economic and climatic related hardships begin to bite around the world. A downturn in global food production will run alongside a decline in oil production which will only exacerbate our problems. Fracking can at best, only prop-up the transition period and not reverse the trend. Next decades energy bills or even the middle classes will become uncomfortably expensive as the working class struggle to heat their homes. Only last week, I said to my baby son while whisking him around a typical supermarket that he should appreciate these times because when he is my older, the shelves will be very much emptier than you see them today. The energy conservation movement will become the change in people’s attitudes towards burning fossil fuels that the green movement failed to achieve, although through necessity and not through a desire to be green.